Jeremy Epstein founded the ACSA Scholarships for Women Studying Information Security (SWSIS) program in 2011, and is proud to be continuing this critical program. 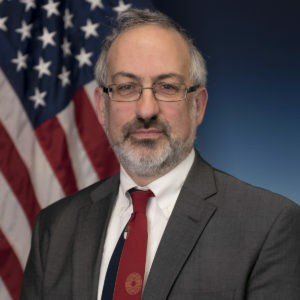 In his day job, he’s Deputy Division Director for the National Science Foundation’s Division of Computer and Network Systems, in the Directorate of Computer and Information Science and Engineering. His research interests are focused on voting systems security. Besides SWSIS, his other volunteer activities include serving as associate editor in chief of IEEE Security & Privacy Magazine, vice chair of the Association for Computing Machinery US Public Policy Council (USACM), member of the board of directors for Applied Computer Security Associates (ACSA), and a member of the advisory board of the Verified Voting Foundation.